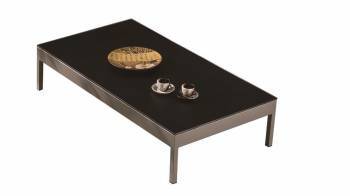 Uplift the charm of your patio by introducing elegance in the form of the Barite Rectangular Coffee Table. Barite Rectangular Coffee Table inspires with its minimalist design and is a perfect addition to your outdoor settings. The legs of the chair have an angled build, which gives it a unique appearance. 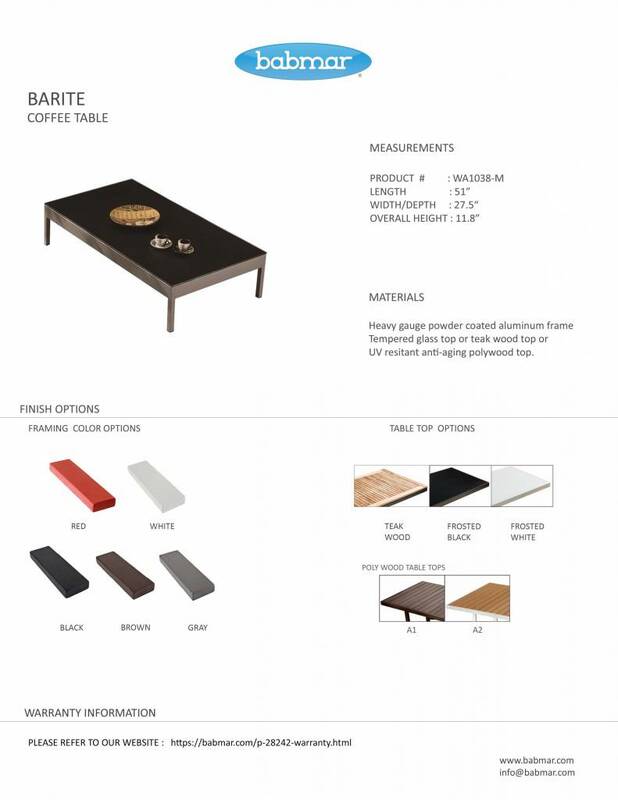 You can get your table customized by choosing from different frame colors and tabletop types.